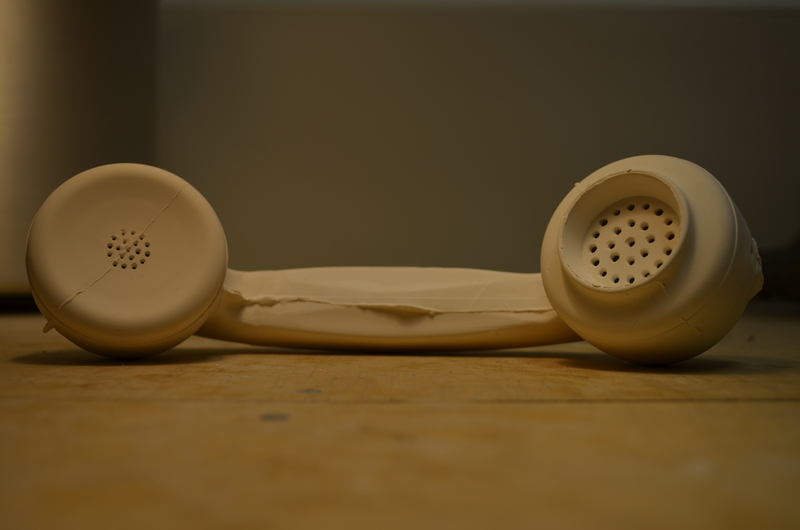 The first couple of test’s for the phone box project came out of the kiln – now I have some more tangible, physical guide lines – I can really start to figure out the practicalities of wiring the innards of the handsets without ruining the visuals. 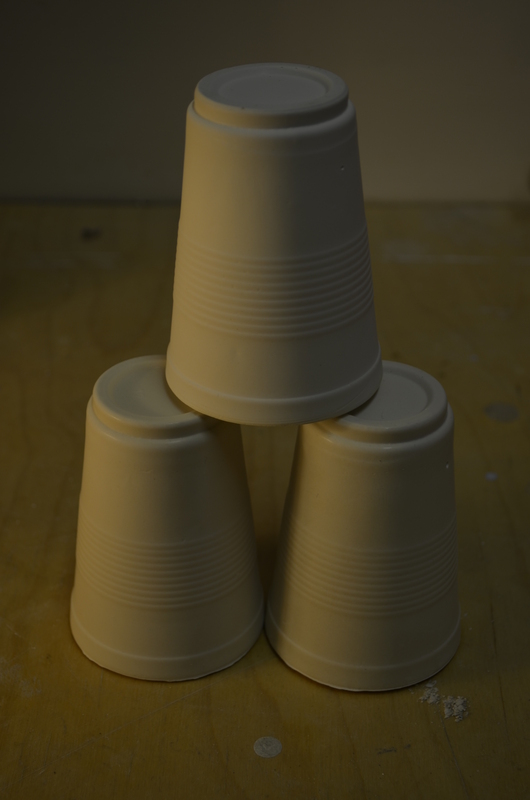 The cups may be a waste of time, and a waste of materials, but sometimes wastage feels important in order to make sketches more tangible – and helps get them out of my head! And besides, they feel so lovely to hold that I considered a photo would be better than nought for everyone else. The bottles are something I’ve been pondering on for a while. 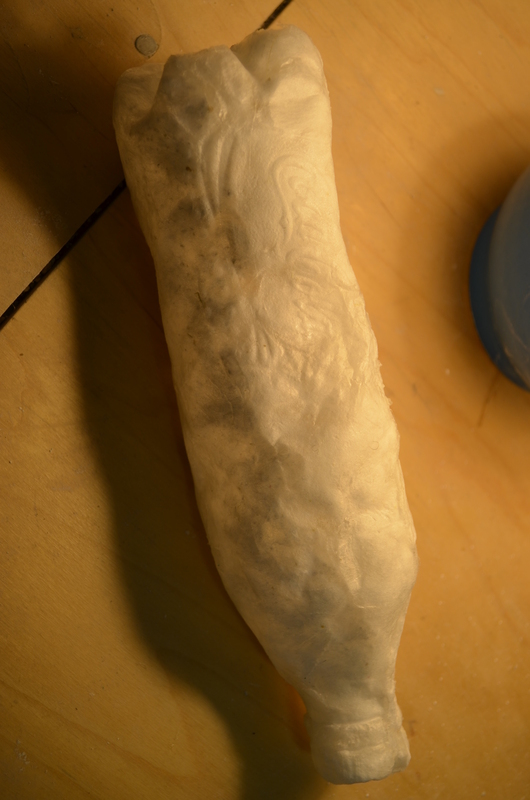 It’s taken a while for a material that ‘worked’ for me to become apparent. Cotton wool has become a sort of intermediate, working stage whilst I figure out what to do with all the wool I’ve been collecting off of the barbed fences around about (mad? perhaps..) So hopefully the next step for these will be more exciting and visually interesting. I was quite excited with the level of detail that is attainable (a keen eye may note the brand labelling on the bottle), so there may be more of these to follow! The even more observant may note that I have changed my photo tactics in line with a useful comment last week. Time to find a new appreciation for photographing objects – an old Thomas the Tank engine lamp is coming in useful!